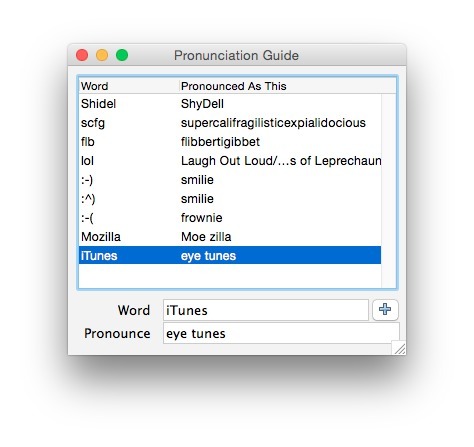 Play with OS X's text-to-speech system (beta). Is there a better alternative to ChatterBox? 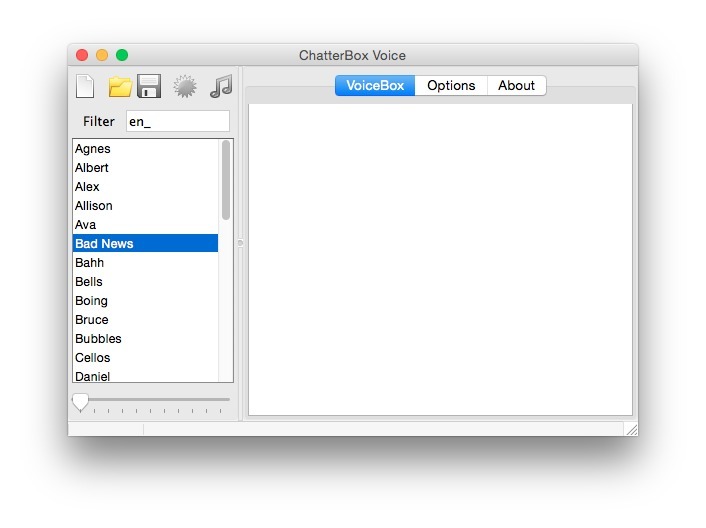 Is ChatterBox really the best app in Audio category? 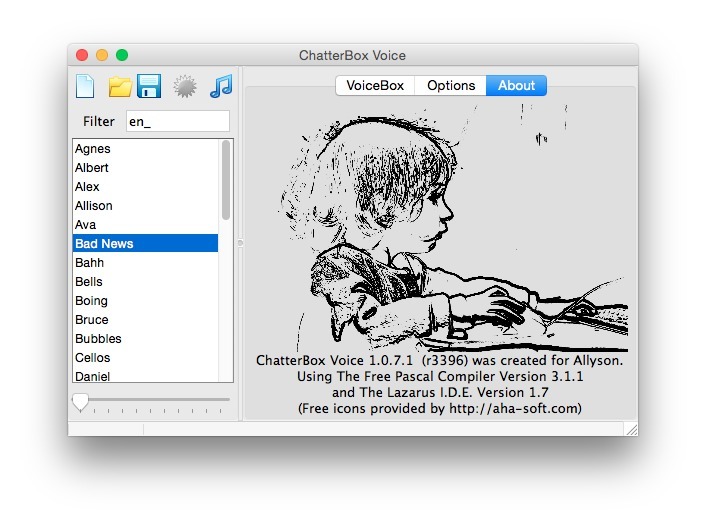 Will ChatterBox work good on macOS 10.13.4? 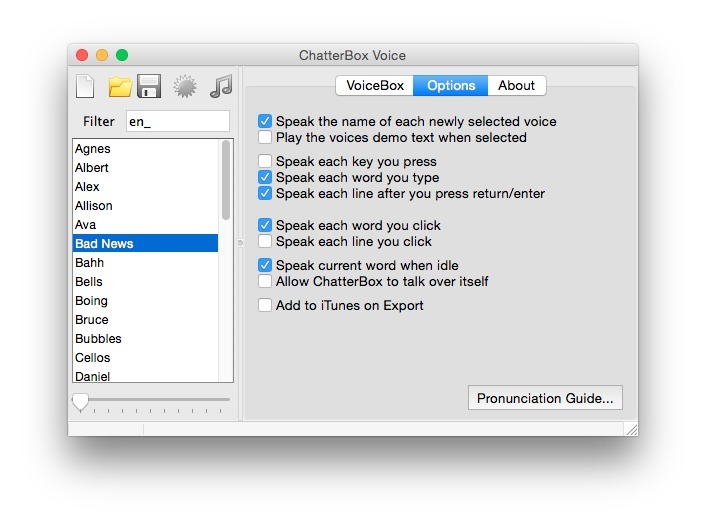 Chatterbox has one sole purpose: make your Mac talk. Pick a voice, type and your Mac will speak. Options are available to correct pronunciation of words, speak each letter, word, sentence and so on. If you're 8 years old (at least on the inside), then this is the application for you. ChatterBox needs a rating. Be the first to rate this app and get the discussion started!